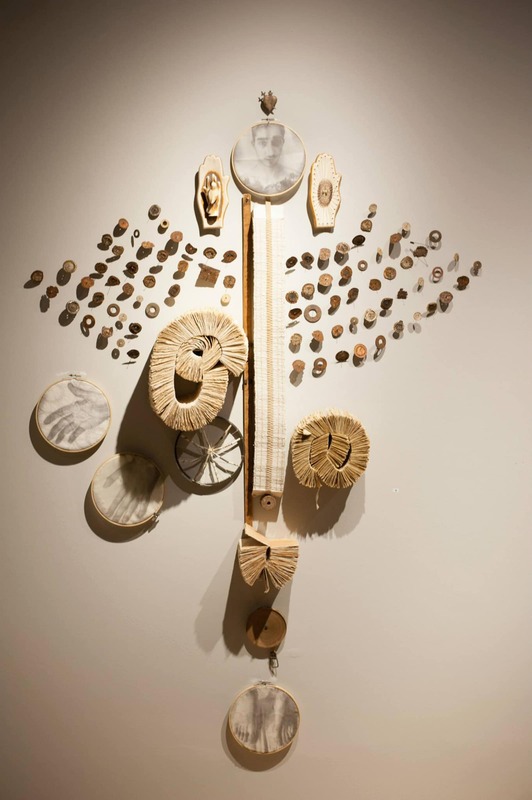 The Yeiser Art Center presents “From Which Stars Have We Fallen,” an exhibition of installation art, book arts, sculpture and more by Birmingham, AL artist Douglas Pierre Baulos. Douglas Pierre Baulos received his MFA from the University of New Orleans and a Bachelor of Fine Arts from the University of Alabama at Birmingham. He regularly teaches workshops and lectures on his research in book arts, drawing and visual ecology. In 2009 Baulos won the President’s Award For Excellence In Teaching at UAB. He is currently the Assistant Professor of Drawing at the University of Alabama at Birmingham and the curriculum director at Studio by the Tracks, an art center that provide free art classes to emotionally conflicted children and adults with Autism Spectrum Disorder or other mental illnesses. His drawings, installations, and books have been exhibited/published both nationally and internationally. His current works are explorations (visual) and meditations (poetry) centering on his ideas of spirituality, love, death, shelter, and hope. We will be offering a special artist demonstration in conjunction with our Fiber Arts Festival on Saturday September 15th. Baulos will be demonstrating his art-making techniques from 10AM -`1PM during the festival. The Fiber Arts Festival is returning this fall to Paducah, Kentucky! This event, in partnership with the Paducah Parks Department, will be held at the Farmers’ Market in Downtown Paducah on Saturday, September 15, 9am – 1pm. Featuring free, family-friendly fiber art activities, demonstrations on natural dyeing and spinning wool, and educational materials on Fiber Arts, with special guest appearance from artists and live sheep! The exhibition will open with a free reception on Friday, August 17, 5-7PM at the Yeiser Art Center, 200 Broadway St in Downtown Paducah, Kentucky. Admission to the Yeiser Art Center is $5 during regular opening hours, except Wednesday’s where admission is free. Yeiser Members always receive free admission to exhibitions. Located in downtown Paducah, the Yeiser Art Center is a non-profit visual arts organization celebrating more than sixty years of serving the community through exhibitions and education throughout the Tri-State Region. The Yeiser Art Center is wheelchair accessible. Admission: $5, Free for YAC Members, on Wednesdays, and for children under 15. Follow us on Facebook and Instagram @YeiserArtCenter! For questions, please email us at office@theyeiser.org or call 270-442-2453. Visit theyeiser.org for more info on upcoming events.